*Disclosure: I received this product to review for myself. I was not compensated in any other way and all opinions posted here are mine and mine alone. My husband recently bought a scooter for easier commuting to and from work. But there is one issue- he only has one key for the scooter, so if he loses it, he's in big trouble! 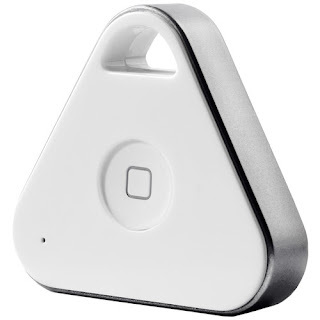 Fortunately, we recently received a new item to review- the iHere Rechargeable Bluetooth Key Finder! This little tool is a great size for attaching to your keys. It's about the same size as most of my traditional keychains. And it's lightweight, so it doesn't weigh you and your keys down. And yes, it works great for locating whatever you have it hooked up to, within 75 feet. But it's not just a keyfinder- you can also use it to control your phone remotely for taking photos! My daughter thought this was about the coolest thing ever, and ran around the house with my phone and the iHere taking selfies and pictures of her brother. You can also use it as a voice recorder (very cool) and for finding your car! I love multi-use tools like this! The iHere would be a great graduation/Mother's Day/Father's Day gift, especially for anyone who loses their keys on a regular basis! nike air max 1 femme argent Les prix de basket air jordan feuilles sont utilisées comme un lactifuge, appliqué à l'extérieur Air Jordan 3 Chaussures des seins. Le VR Pro Cavity est asics kayano blanche femme vraiment sur la liste des nike air max fleuri femme meilleurs fers de golf de cavité nike air max 1 noire femme de recherche sur le marché, avec des nike air force 1 ac femme lignes délicates et une plus asics nimbus femme rose petite quantité de boxy et d'encombrement nike air max bw blanc homme que vous observez simplement de temps nike air jordan 11 xi retro low concord en temps dans la catégorie d'avancement de jeu.